Larry C. Holmes, President of Holmes Landscape Company, graduated from Fallbrook High school and earned his A.A.in Horticulture from Mira Costa College. It was at Mira Costa College as a horticulture student of Mr. William Thompson, that Larry developed his deep interest in ornamental horticulture. While still a student, Larry became a licensed Landscape Contractor in 1974, and formed Holmes Landscape Company. For the next few years he did design build work for residential homeowners that involved mostly landscaping and irrigation. Realizing that concrete work, retaining walls and hardscape items were as essential to large-scale projects as landscaping and irrigation, Larry obtained his General Builders License in 1978. Over the next few years HLC expanded its business to include large custom homes and commercial projects. Major projects during this period included: the Cassidy Street Stairs for the City of Oceanside, Woodland Park for the City of San Marcos, picnic shelters for the City of San Diego School System, landscape irrigation for the Navy at 32nd Street, and the Point Loma street landscape renovation project for the Navy. In 1982, Holmes Landscape expanded its business once again to include commercial landscape maintenance. The Burroughs Corporation in Carlsbad was among the company’s first commercial business customers, and Peacock Meadows in Oceanside was its first homeowners association client. 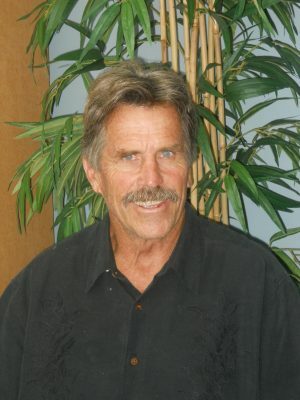 In 1985, after obtaining his California State Teaching Credential, Mira Costa College invited Larry to return as an instructor providing a unique perspective of owner and teacher of landscape management and landscape construction. Shortly thereafter, the company began to flourish. Today Holmes Landscape Company employs over 116 maintenance field personnel and 35 trucks, a tree division of 8 field employees operating 3 bucket trucks and chippers, 4 full-service irrigation techs and a complete field and service staff of 13 to assist throughout San Diego’s North County. The success of Holmes Landscape Company can be attributed to the personal integrity and hard work of Larry Holmes, and to the many dedicated, hard-working people that he employs. Larry Holmes demonstrates a work philosophy based on attention to detail, innovation, and customer service. 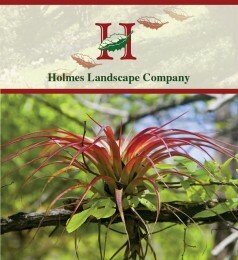 Holmes Landscape Company has grown to become one of San Diego County’s leading landscape maintenance companies.